Using data effectively will be the key to success in today's digital world. If the UK is to become a leader in the digital world, then data skills must be at the heart of that mission. Put simply: without data, there’s no digital. In the fast-growing digital economy, data is a vital resource for the machine-learning and advanced analytics that convert digital data into valuable business and social impacts. Yet despite growing business and government support for digital skills, the UK is yet to reach its potential. Research has shown that good data usage could convert to economic growth, better decision-making and answers to major societal challenges. Addressing these challenges becomes more urgent every day. Consider the UK’s challenging economic context, our long-standing low productivity relative to other G8 nations, and the uncertainty surrounding the outcomes of Brexit. These factors lend important context to getting analysis of data right, both now, and for the future. 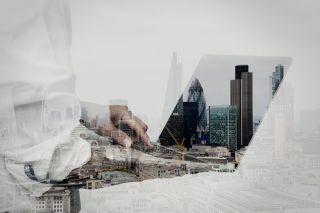 The Data Skills Taskforce was called into being because the UK government recognised that the UK is not ready to lead in the ever-changing international economy. Our role has been to monitor progress on digital productivity and identify the critical gaps that need to be bridged. What is clear, is that there are cultural, educational and financial barriers that need to be tackled. In a world of connected people and connected things, organisations need a better view of what’s happening on the outside and a faster view of what’s happening on the inside. Data must be the foundation of every decision. Take the online retailers we visit every day. In a world where we generate data every time we shop or communicate online, intelligent businesses can quickly turn information into value. But those that do are in a minority. Despite a growing awareness of the value of data, there remains a significant tranche of businesses, particularly SMEs, that have not embraced the data revolution. Almost a third of companies work with very limited data sets and rarely use analysis to make decisions. Most only dip their toes in the water, and so don’t yet see the full benefits. Clearly, there is work to be done to highlight where opportunities exist and show companies how to identify and capitalise on them. The first step for companies will be to foster a ‘data native’ culture, where working with data is fundamental and inherent to everything that the company does. Culture is something that starts from the top. You can’t expect it to happen without leaders not only putting in place the right infrastructure, but also embodying what it means to operate as a ‘data native’. So how do they do that? Leaders need to set the example by embracing data, analytics and digital. By doing that, they will enable new ways for their employees to access, collaborate and work which will drive analytics adoption across their businesses. They need to have the right tools in place, from simple data dashboards to advanced machine learning and Artificial Intelligence, to deliver insight at the point where decisions are being made. We also need to help existing managers at all levels get comfortable with and embrace data and analytics. They may not become ‘data natives’ or experts themselves, but they need to embrace the advantages of data and analytics. Education is important to create a bridge between the data science and traditional business worlds. The right skills and talent are fundamental to success, and demand is rapidly outstripping supply. Industry statistics suggest the UK could create between 2.7 and 3.5 million new jobs by 2030, all requiring digital skills. 62 per cent of companies will require more big data capabilities between now and 2019, and by 2030 data analytics will account for the majority of UK digital vacancies. To make sure we are developing the right pipeline of talent and skills, we need to engage people early and show them that data skills help to develop a dynamic, fulfilling and well-paid career. We need to dispel the fundamental misunderstandings about what a career in data science looks like. It’s not a career of lab coats or “boring maths” and working in isolation. In fact, finding the key to the next Hollywood blockbuster, or boosting performance in motor racing are both responsibilities of data scientists. Without tackling these myths and misconceptions, young people will not seek the skills that companies require. We should be encouraged by the progress that has been made. New funding has been made available by government and research bodies have helped to develop specialist data science degree programmes, of which thousands of students are benefitting. Tech Partnership has launched several initiatives bringing together practical lesson guides, group activities and industry experience to educate students about the types of tech jobs available and the paths they need to follow to get them. Accenture has launched the Teen Tech Data Science Prize, which encourages school teams to solve real-life challenges by analysing data. They will address societal questions around education and crime, or slightly more fun problems around entertainment. But the point is that they can clearly see how using data can produce the insight to make real-world changes. We need to do more of this. Education on what data science is and how to do it will make sure that when people hit the workforce, they fully understand the opportunities available to them and can engage with the digital market. Achieving that requires teachers who can inspire and inform the next generation, and concerted efforts by policymakers, educators and businesses to raise awareness of data science career opportunities for young people. We also need to financially support the research programmes and organisations, such as the Turing Institute, that will enable the UK to be a leader rather than just keep up with others. Facilitating ideas, theories and new concepts will make the UK the engine room for digital innovation and provide a roadmap for others to follow, but only if we invest in research. Developing the right environment for people to collaborate and turn ideas into successful digital businesses is also critical. Developing a national start-up ethos and an ecosystem throughout the UK are essential for the UK’s digital leadership. These are the key recommendations identified in a new report by the Data Skills Taskforce, and if we continue to work towards these and make continuous investment in the UK’s data skills, there’s every reason to be confident for the future. By helping companies to understand and capitalise on the value of data, building skills in data science, and developing links between government, business and educators, we can unlock value and help the UK to succeed in a data-driven world.